The New York Yankees promote responsible drinking and positive fan behavior at Yankee Stadium. The Yankees Fan Code of Conduct and the details of the Yankees alcohol management plan that appear below ensure that fans have a safe and fun experience. The Yankees want all Guests to be able to enjoy the fun and excitement of Yankee Stadium events in a safe and comfortable environment. Guests will be treated in a consistent, professional and courteous manner by all Yankee Stadium Team Members*, and the Yankees ask Guests for the same in return. restrict movement in the seating area during game action and cheer in a respectful manner that does not interfere with other Guests’ enjoyment. The Yankees maintain a zero tolerance policy regarding any Guest who violates the Guest Code of Conduct. All Guests must comply with the Guest Code of Conduct. Any Guest who does not will be subject to immediate ejection without refund and revocation of season tickets and/or future ticket privileges and may also be in violation of New York State and City rules, regulations and ordinances, resulting in possible arrest and prosecution. The Yankees strive for a championship team on and off the field and thank Guests in advance for complying with the Guest Code of Conduct. Take pride in Yankee Stadium, and enjoy the event. the Best Possible Experience for Guests. * Please note that Yankee Stadium Team Members are not necessarily employees of the Yankees. All those who work in the Stadium and provide services to Guests are referred to as “Team Members” even though they may not be employed by the Yankees. ** Placing, dropping, tossing or hurling any substance or object onto the playing field with the intent to cause physical injury to a sports participant and/or disrupt the game or sporting event and/or knowingly entering the playing field are crimes each punishable by fine and/or imprisonment as well as a civil penalty of up to $5,000. *** Striking, slapping, kicking or otherwise making physical contact with any sports participant with the intent to cause physical injury and/or disrupt the game or sporting event, or any attempt to do so directly or indirectly by means of any substance or object, are crimes each punishable by fine and/or imprisonment as well as a civil penalty of up to $25,000. 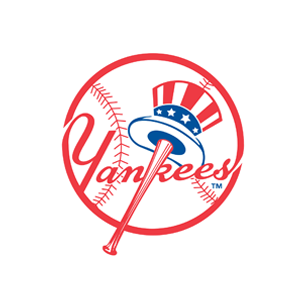 The Yankees and Budweiser have teamed up to implement the Budweiser Good Sport Program to encourage Guests to volunteer to be the designated driver for their group. For more information, please visit the Guest Relations Booths or any Budweiser Good Sport Kiosk throughout Yankee Stadium. Program registrants must be 21 years of age or older and have a valid driver’s license.